It was cold and rainy this morning, as expected, so I wasted little time deciding between an indoor and outdoor run. I had things to do this morning, so I got on the treadmill earlier than usual and set my usual starting pace. 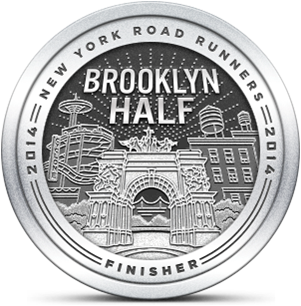 This pace, which feels like 9:00/mile, can seem either easy or hard, depending on the day and circumstances. Today it felt relatively easy, but the soreness near my hip came back in a big way. I wasn't really concerned about the pain. It was there, but my tolerance to pain is fairly high. I was troubled that the soreness persisted even as I ran. It made me wonder if this was a bonafide injury. Running on an injury is never a good idea, but I wasn't ready to cut my workout short. Instead, I dropped my speed back about 5% and my hip began to feel better. I finally called it a run after reaching three miles and noted that my hip still felt tight and uncomfortable as I stepped off the treadmill. I did a little research online to see if I could identify the muscles or tendons that were causing this pain. I think that it might be my IT band. The pain is localized near my lower hip but the pain does travel a little. 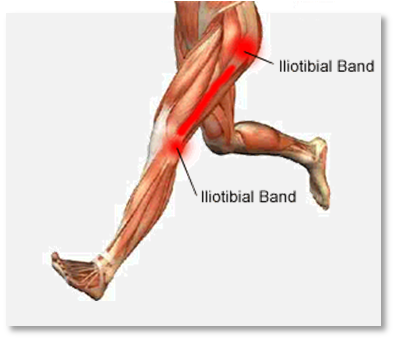 It's not as intense as sciatica, but the symptoms seem to coincide with Iliotibial Band Syndrome. I'm continuing to ice the area and I took Aleve which helps the pain. The practical next step is to rest a couple of days before I run again. Maybe I'll do that, or substitute an elliptical session for my Wednesday run. I'm also thinking about resuming my Uechi-ryu (Okinawan karate) workouts now that I have a little more time. That will provide another cross-training option and also provide me with some much needed upper body exercise. The guy in that illustration has horrible running form. 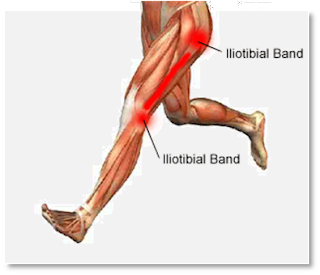 It's no doubt why he's suffering from Iliotibial Band Syndrome!